Are you curious about ceremony? As a Life-Cycle Celebrant, I am deeply curious about the power of the word and the alchemy of ritual. I strive for inspiration, language and elements to shape a ceremony so transformative and so individual that it is truly yours and yours alone. It is my privilege to serve you in this way. Together, we can shape a new form of ceremony. This is the art of possibility which is woven so deeply into my commitment to you. Welcome to Life Threads Ceremonies, offering professional celebrancy services and creative resources for an expressive life. Each ceremony is originally crafted and skillfully presented. What important event is about to happen in your life? How could it be enhanced, deepened or healed with a ceremony? Celebrate your life’s achievements? Welcome your adopted child? Launch a new business? Time passes. It is your time, and it is precious. Transform it through ceremony. Abegael had been a family friend for many years, so it only felt right to have her lead our 8 month old sons blessing ceremony. Abegael was a delight to work with. She had so many ideas and a beautiful sense of what could make the most memorable and heart warming ceremony, including blending a seamless ritual of our mothers’ lighting our own (carefully kept) baptismal candles with our lighting our son’s blessing candle for the first time. It was a wonderful way to officially welcome our son into the world. The day was everything we wanted it to be and more. Thank you Abegael for giving us a one-of-a-kind ceremony that we will never forget. Thank you so much for everything. We enjoyed the ceremony and the sweet basket of gifts you presented to us…the pair of beeswax candles, the honey, the rose petals, and the crimson handfasting ribbon. We will cherish the beautiful keepsake copy of our Renewal of Vows forever. You are such an amazing person and we thank you! With her calm approach, Abegael skilfully guided the unfolding of a ritual. Her gentle voice and soft singing enabled the participants to deepen their awareness. She created an atmosphere which encouraged trust and sharing. Abegael is a gifted specialist in ritual, remembrance and reliving. Abegael, I just can’t begin to tell you how grateful and happy I am about the gathering you facilitated for my birthday. It was everything I hoped for and so much more. Passing the pomegranate as a talking stone was brilliant. My friends are still talking about it! 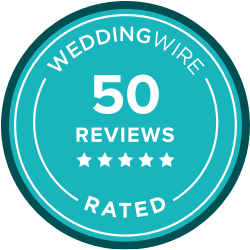 Our event exceeded my expectations, particularly regarding the level of comfort and ease I felt during the ceremony. I appreciated the consideration of our needs and wants, and the creation of a ceremony to reflect these. All of the pieces continued working long after the ceremony. It became more about the memorable journey than about an end-point in time. Thank you. This ceremony marked a time in our lives that we will remember fondly. Ms. Fisher-Lang, with her deep understanding of the human soul, brought a new dimension to my partner’s birthday celebration: a ritual that allowed every invited guest to honour and bless him in ways that he had never experienced before. He was so moved; we all were! What a marvelous job you did at Martin’s birthday celebration, Abegael. You are truly gifted my dear. The whole event was a fabulous surprise for him. Thanks very much for all you do for our wonderful community! Abegael, I was very touched by our experience of being together—by the connection, the openness, the depth of emotion, the sacredness of what we created together. I appreciated the form that you provided, combined with the flexibility to take the ceremony in whatever direction it wanted to go. I thank you, my friend, for what you did to make our leavetaking ceremony so special and memorable. Your CEREMONY for Midlife: Celebrating our Wisdom last night was a wonderful, healing gathering. Even in just talking about the kind of ceremonies we might like was clarifying for the kind of comfort and recognition my heart was longing for. I could see that the same was the case for many others. Thank you so much! You have a touch for fostering gentle deepness. Thank you. Bringing closure to a shared team or group experience–irrespective of the nature of that shared experience–gives people the opportunity to move forward. Abegael Fisher-Lang weaves an event that ties loose ends, celebrates individuality and re-engages team thinking. We are so grateful for the many ‘angels’ that you brought together at Mom’s bedside before, during and after her passing. We will always carry with us the beauty of the angelic Threshold Choir, the Bell Choir, the cello and lyre music, eurythmy…it all lifted our spirits, as well as our mother’s. And it was wonderful that you sought and brought in an Anglican minister to bring her solace. With love and gratitude always. Thank you, deeply, for everything you have done for our family this past week, from putting us in touch with our funeral director the evening that my dad passed away, to coming to the hospital despite your prior engagement, to helping us bring his body home and setting up a beautiful 3-day vigil, to visiting on a daily basis, to working with us in our grieving, to celebrating his service today. You have helped me immensely through my grief this week. For those who visited our home when dad’s body was here, I believe that helped them. And for all those who attended today, I believed it helped them. And, in the end, I believe you have helped us accompany my dad’s soul with comfort and ease. For these things, I am deeply grateful to you. Thank you, Abegael, for helping us give our Dad the send off he deserved. I appreciated your kind and thoughtful approach, as well as your ability to work with our vision of the day. You quickly understood and embraced the type of man he was. We are all so very grateful. What a remarkable time! Thank you so much for your willingness to embrace so beautifully an end of life ceremony for our dear mother Dorothy, and dear father Ed. And thank you for listening so well to our stories, and presenting so well the essence of our parents’ lives in the ceremony. As Dorothy would have said, “It was a very tasty afternoon”. Yes, indeed! Weddings, Blessings, End of Life Ceremonies, and other non-denominational celebrations for Vancouver and the Pacific Northwest region.